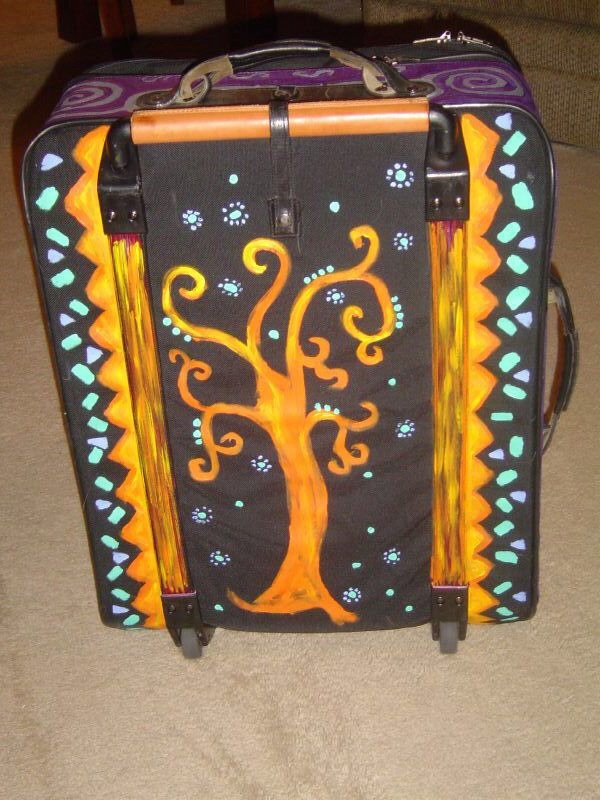 I painted my big suitcase back in 2007 before going to New York. This year I decided to paint my smaller carry-on bag. I leave for a week long training on Sunday. 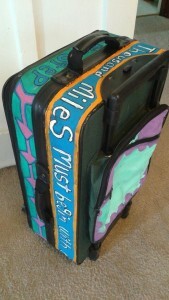 I decided on this trip, I wanted to travel super light and just take a carry-on. (Checking is so annoying and expensive.) I found a quote about travelling. 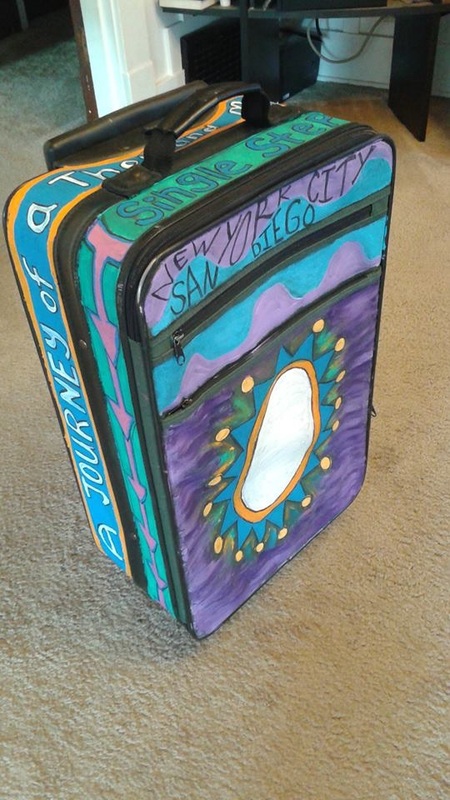 “A journey of a thousand miles begins with a single step.” And then will also be writing some of the cities that I travelled to over the years. It is turning out a little more pastel than I like, but I had to lighten up the colors to get them to show up on the dark green canvas. Below are some pictures of my big suitcase. Josh was living with us at the time and he drew the character on the front. I always love waiting for this bag at the carousel. No one else has a more distinctive bag! 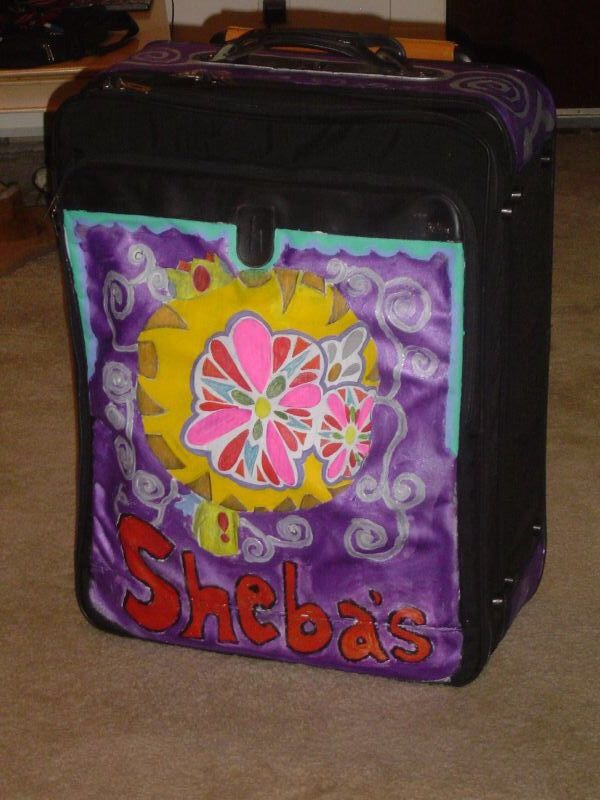 This entry was posted in Pastimes, Personal on July 21, 2015 by Sheba. The artwork and adventures of artist and educator Cynthia Gaub.